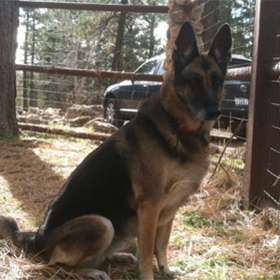 We are the Holmes family, breeders of top pedigree, working-line German Shepherds from Germany and the Czech Republic. All of our sires and dams come from world class pedigrees, with proven show and competition success. We are the Holmes family, breeders of top quality pedigree working line German Shepherds from Germany and the Czech Republic. All of our sires and dams come from world class pedigrees with proven show and competition success, and are all certified for healthy hips and elbows. Our passion for dogs began at a very early age for both Jon and Audrey Holmes. Jon was raised in California, with shepherds and as a toddler, learned how to walk by holding onto the side of his trusty, loyal shepherd, Prince. Growing up with shepherds, Jon always had a love for the breed, and as an adult, while working as a paramedic in the San Francisco Bay Area, in California, he began training his German Shepherd, Mack, as a search and rescue dog with the San Mateo Sheriff’s office. Unfortunately, Mack had genetic health issues and could no longer continue training. 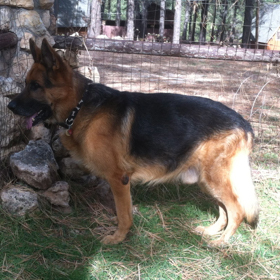 From there, he continued to own and train a variety of shepherds from various rescues. Audrey Holmes is from Cleveland, Ohio and was born an animal lover. As a child, she would beg her parents for different animals and throughout the years, owned dogs, bunnies, guinea pigs, and ducks. In middle school she was breeding Black foot ferrets in their suburban home in Scottsdale, Arizona. Today, she considers their home the “Happy Holmes’ Homestead” with a combination of goats, bunnies, and chickens, which serve as a training ground for the desensitization of young pups. Fast forward to today, and that passion and dedication to the German Shepherd breed continues. Each dog we raise is treated as a member of our family, and is socialized with children and other animals in order to give you a loyal family dog, as well as an obedient, confident, and determined working dog. At Schönheit German Shepherds, we believe that working dogs are an amazing combination of loyalty, obedience, strength, and focus. 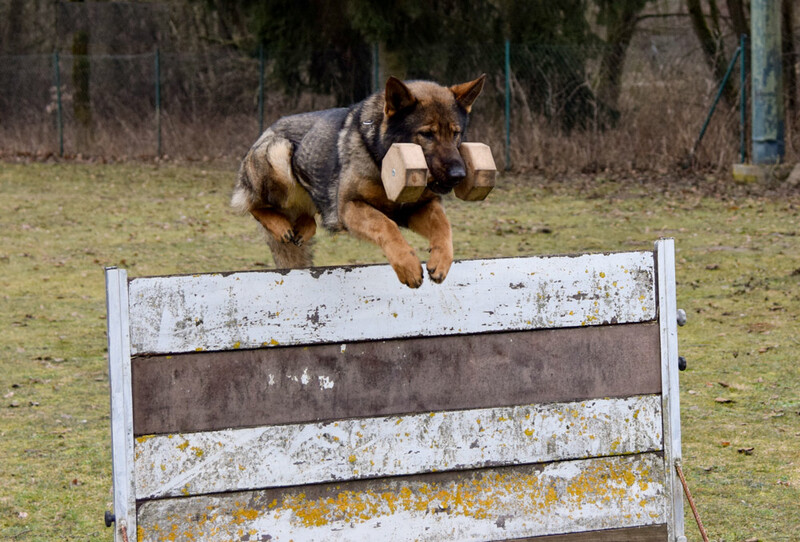 Our dogs are bred from top quality working lines in Germany and the Czech Republic, with proven pedigrees to give you both a healthy, loyal best friend, as well as a world class working dog. Schönheit German Shepherds have been certified for healthy hips and elbows, and excel in determination, confidence, obedience, and focus. Trained in a variety of situations, they are taught to be fearless and can easily adapt to any situation. We believe that in order for a German Shepherd to be truly happy, he needs a job. As a loyal member of your family, our German Shepherds are socialized early with children and farm animals in order to bring about a faithful family member who is eager to please, fiercely obedient, and ready to work. Mack is the inspiration behind Schönheit German Shepherds, in fact, his silhouette is our logo, which serves as a memorial for us. Mack was my original Search & Rescue dog. He was purchased from a breeder and had champion pedigree lines from his sire’s side in Germany. Unfortunately his dam was AKC registered, and carried some genetic health issues. Half of his litter mates died by the age of 3. I retired him out from training at the age of 2. After spending $13,000 to keep him alive through 2 illnesses, he lived a happy life with us until he was 12, and even got to surf in Oahu for 3 years. He was an incredible member of our house and loved my wife and son. Misha was our first German Shepherd rescue. She was defiantly mom’s girl. She was with us in Arizona, then moved with us to Hawaii, and back to Arizona again, and took it all in stride. She even acted as mother and protector over our rabbits and chickens. She was a beautiful girl, a special member of the house, and is missed very much. 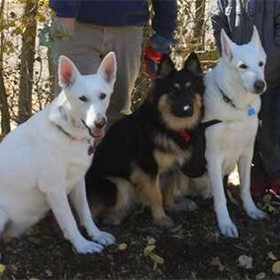 Ghost, the larger white shepherd, Isabel, the smaller white shepherd, and Chewy, the long coat, black and tan German Shepherd. All three came from rescues. All of them are incredible and are loved very much by everyone in our household.